When buying a toothbrush, toothpaste, or coming in to our office, you often hear the word “plaque” associated with the health of your teeth. Plaque is one of the main reasons why it is so important to keep up with a daily oral hygiene routine that includes brushing two times each day for at least two minutes, and flossing regularly as well. Here’s what you need to know about plaque and what it can do to your smile. If you haven’t brushed your teeth in a while, you might feel a film-like, sticky buildup on your teeth. This is plaque, a bacteria layer that grips onto your teeth. There isn’t anything you can do to stop plaque from forming, but brushing and flossing as well as keeping up with regular dental visits are your best defenses for cleaning plaque off your teeth. Without regular brushing and cleaning, plaque builds up and multiplies. As plaque is left untreated, it hardens to form tartar (also known as calculus). Plaque also leads to decay, as it produces an acid that damages your teeth. When you come into our office for a dental examination, we thoroughly clean your teeth to ensure that any buildup is taken care of. Tartar can cause staining on your teeth if left untreated. Plaque is the leading cause of gingivitis, causing your gums to swell and become red or bloody. The most important steps of keeping plaque in check is to stick to a daily brushing routine. This means brushing twice each day, for two minutes each time, and flossing at least once daily. Plaque occurs naturally, and when you come into our office for a complete examination, we work with you to clean off any buildup. Maintaining regular visits to our office is one way to ensure tartar buildup is minimized and managed. 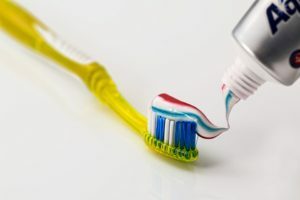 It is particularly important that you are brushing your teeth all the way to the gum, because the gum line is an area that is prone to plaque buildup. Brush gently, as vigorous brushing will only do more damage than good, especially to your gums. Sticking to your daily brushing and flossing routine will help keep your teeth free of plaque buildup. Make sure you are brushing in the morning and before bed. If you don’t brush before bed, bacteria and plaque will build up throughout the night. Schedule a visit to our office so our experienced, professional dental team can clean your teeth, giving you a smile you can be proud of. For more tips on keeping your teeth healthy or to schedule your next visit, please contact our office. A1 excellent service from the staff and doctor all the way around from the moment I walked into the door to the time I sat in the examination room. He explained everything very well...felt like he understood my concerns and formulated the appropriate solution. Very pleased so far and have already highly recommended to my family and friends. I came and my appointment was at 9 and Natalie greeted me well and took me right back. Kim took my x-Rays and she was so sweet. Very patient with what I had going on. Dr. Jumani took good care of me. Just finished. The reception I got when I arrived was warm and welcoming. My cleaning was comfortable. I got a dental plan which detailed what needed to be done to get my mouth healthy. The billing was explained to me in detail. I am confident that I will be a patient for a long time .